These are some sculptures I made out of found objects. 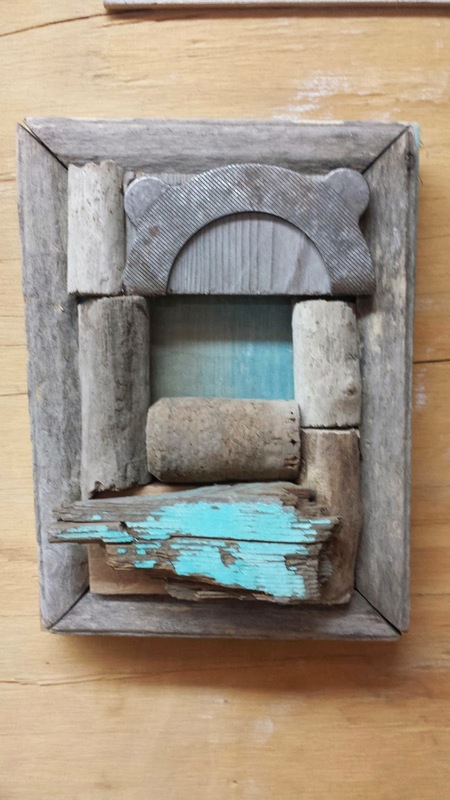 A found object assemblage is made of various objects that are placed together to create a visual composition. My first attempt at making sculptures like this happened when I was about 14 years old. I had been to a gallery gift shop at the Maryhill Museum in Goldendale, WA and seen figurative sculptures constructed of nuts and bolts and wanted to make something similar. My grandfather's garage in Pasco, had boxes and crates containing random nuts, bolts, and screws of every type. Unfortunately I figured out that elmers and super glue wasn't up to the task. Nevertheless I collected numerous found objects for my own amusement which later became the foundation for dozens of sculptures. Part of the process involves looking for interesting objects to use in compositions. Streets and alleyways in industrial areas provide an excellent resource in the city. Rivers, creeks, and beaches of all sort can provide a wealth of materials. Abandoned and demolished buildings, empty lots also can reveals useful treasures. Though some of these places may project an element of danger I have yet to be harmed or discouraged. The objects here are assembled to make a totem of sort that could also loosely resemble a woman's breast. 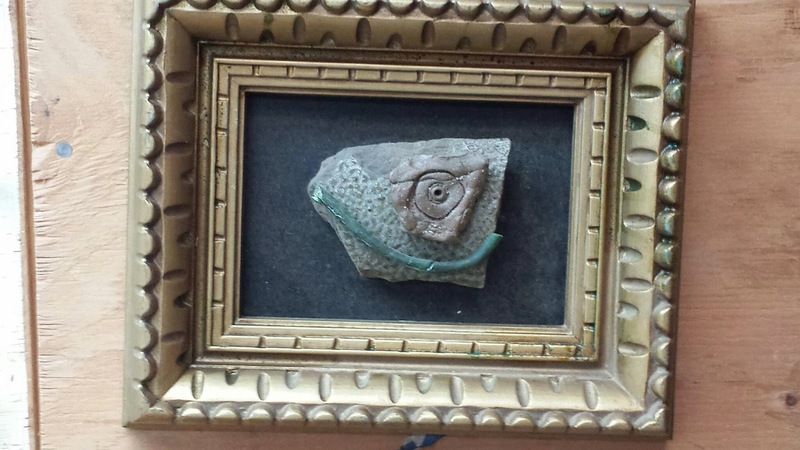 It is made from worn brick, found in a creek, a rusted sey of ball bearings, and an old ceramic marble, found near a demolished house. 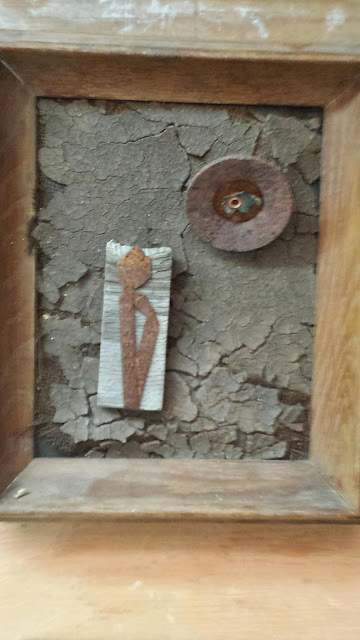 Funometer found objects 1998, when I made this piece I was struggling with bouts of depression. The ring at the top was made of terra cotta and fired in a kiln I made out of found bricks, the turquoise disc is plastic and came from my job at the Alaska Airlines warehouse. The metal pieces were found in an abandoned lot. This was one of the very first pieces I made right after I moved to Washington from Texas. I stayed in Tacoma for my first six months, living with my mother. I used to frequent the old Tacoma waterfront in Old Town searching for bricks and other artifacts from the abandoned mills, which there were many. This is made of found objects: terra cotta, obsidian slag, rusted steel, iron, copper , nickel, cardboard, wood. This sculpture used slag from the Asarco Mill in Ruston, WA. Asarco was known for leaving behind a superfund cleanup site that polluted Commencement Bay and parts of Vashon Island with arsenic. I'm not sure if the black slag is toxic, but it is glasslike, almost like obsidian. I also used terra cotta in this piece and a quarter dollar coin that somehow got trapped and re-milled in a dryer. This "bird-head" object is really just a piece of driftwood, found in the Puget Sound. I used to spend a lot of time wandering near train tracks. It was always a good way to find stuff and it reminded me of my dad, grandfather, and uncles. Tressles where often the only way to cross creeks despite their obvious danger. One time while crossing we almost watched a friend of mine get run over by a train. While crossing a bridge in cowboy boots and not wearing his contact lenses, my friend was unable to rapidly put his feet forward to get off the bridge. Hobbled by these factors the train bore down upon him and he narrowly escaped death by wrapping his entire body around a tressel girder. He didn't even make it off the bridge. The train which had been cruising at a speed of about fifty miles an hour barely was able to slow down, and blared it's horn all the while as it zoomed past. My friend, terrified was only able to peel himself off the girder after the train had passed. In North Texas all the farms and ranches are becoming parking lots, warehouses, and shopping malls. Often while driving around in the countryside you'd see land offered for development with usually an old barn or farm house still standing. Sometimes, I used to enter these sites looking for objects. Horse shoes, boot heels, and rusty metal was common. When you are an artist sometimes it is easy to incorporate things that are nearby and familiar. When I was in college at the University of North Texas I had a job at an art and crafts store similar to Michaels. I used to take home the mat board scraps and old frames from the framing department to mount my objects. One of the best ways to search for found objects these days is to ride a bicycle around town. Bicycles give you a closer glimpse of the world by enabling the rider to traverse alleyways, lots, trails, roads, and sidewalks with ease. Often while riding I 'll see something on the ground that I have to circle back for because I was unable to catch it upon first approach. Also the objects found are also road worn, similar to the affects that one would get from something tossed about in a fast moving river. Most recently, I have using them to make things that are also assembled from new materials. 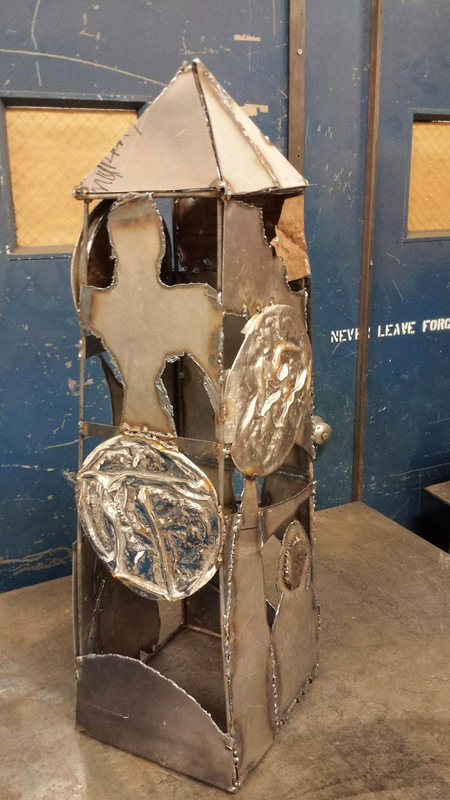 At Pratt Fine Arts Center, I welded together this obelisk from new steel. 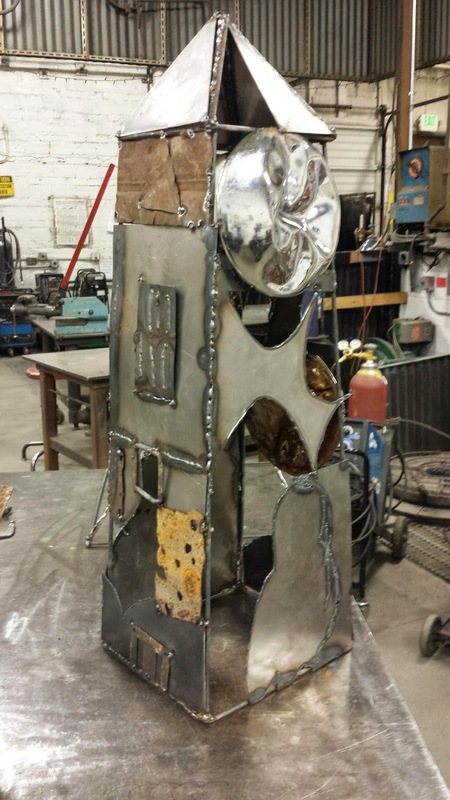 Then I welded some found objects to add texture to the piece.